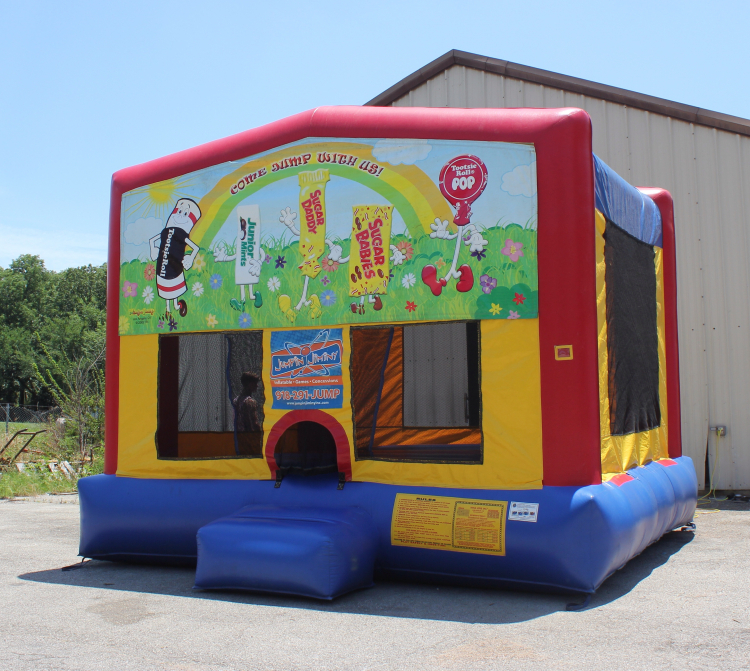 Tootsie Roll Banner 15x15 Module Jupiter Jump - Jumpin Jiminy - Make Your Events Awesome. 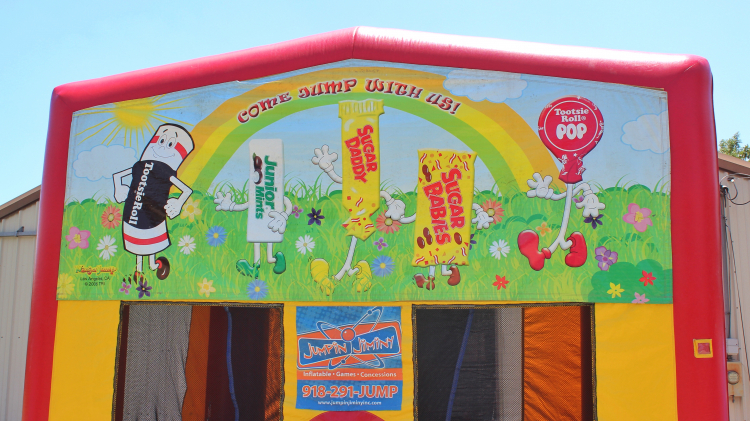 Our Tootsie Roll banner with dancing candy is always a favorite! It's got bright colors and works for parties for girls or boys!